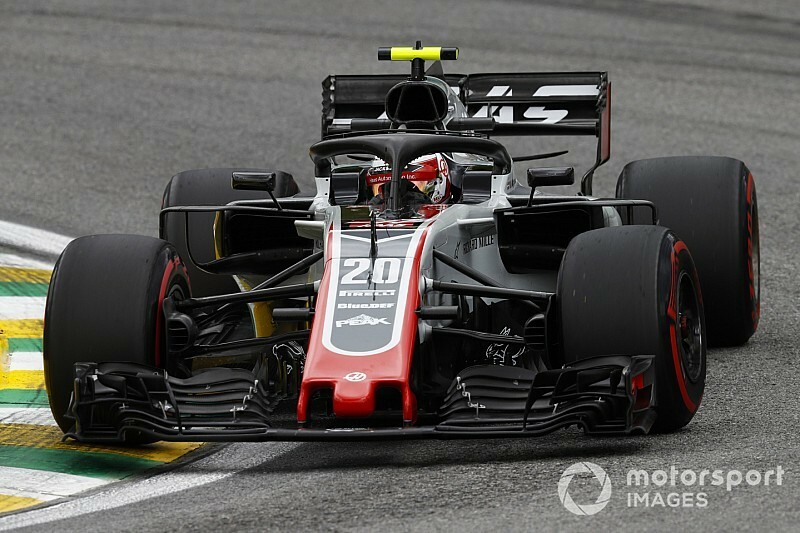 The Haas driver was found to have not kept below the maximum time for his in-lap in Q2, having been knocked out in the second session. But although he explained to the stewards that he had driven so slowly because of giving way to other cars, plus tricky track conditions with the rain, he was still sanctioned. A statement from the stewards said: “The Stewards closely examined the driver’s in-lap and found that Car 20 took particular care not to impede other drivers. The driver also noted that he was concerned with the rain in the circumstances. The Brazil reprimand is Magnussen’s second of the season, having been given one at the Spanish Grand Prix for his part in a near miss with Sauber driver Charles Leclerc. If a driver earns three reprimands in a year he will be given a 10-place grid penalty. It means Magnussen will need to avoid any trouble before the end of the season finale in Abu Dhabi.